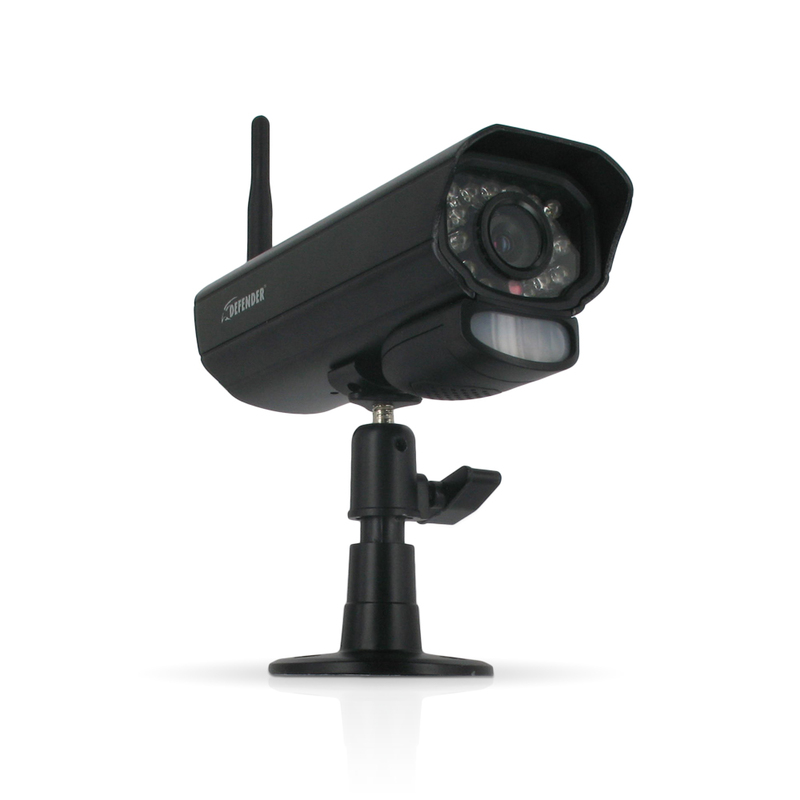 The PX301-C is a camera designed for Defender's PHOENIX 301 wireless security systems. This Digital Wireless security camera comes equipped with 18 infrared LEDs that allow the camera to see up to 40ft away in the dark. Mount the camera indoors or outdoors - it is compact enough that it can be concealed easily and has weather resistant aluminum housing to resist deterioration and rusting. This plug and play system allows you to setup your camera in a matter of seconds meaning no messy wiring is involved. The PHOENIX 301 system is expandable up to four cameras so you can monitor multiple areas of your home or business. Using an additional camera is a simple and effective way to boost your PHOENIX 301 system.